This list is not based solely on talent, nor is it based purely on image or fame. It is simply a ranking of the whole package required to be considered a legendary guitarist. Of course these guitarists need to be talented players, but they also need to have a well developed image recognized all over the world. Let's go! 1. 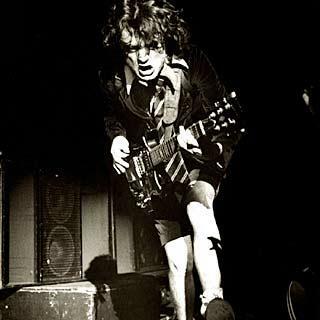 Angus Young - the schoolboy uniform, the duckwalk, the devilhorns and wild stage presence Young is one of the most recognized guitarists in the world, maybe most of them all. 2. 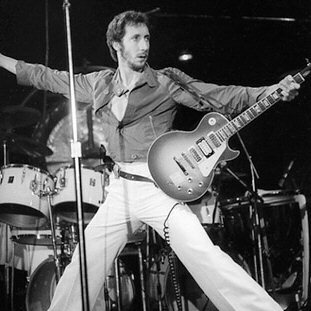 Pete Townshend - inventor of some of the most classic guitar moves like the windmill, the powerstand, guitar jumping and guitar smashing. A rock pioneer that is hugely respected. 3. Slash - that top hat with sunglasses and a dangling cigaret is an image almost everyone recognizes. 4. 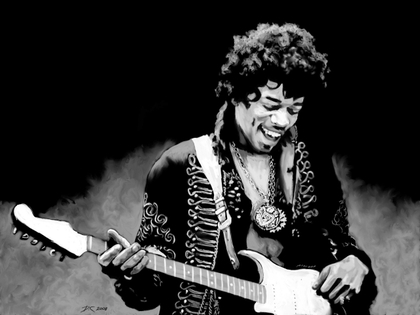 Jimi Hendrix - a legend in the most correct sense. Dead at 27 he had already influenced the rock scene immensely. Moves included behind the head playing as well as tongue and teeth playing. 5. 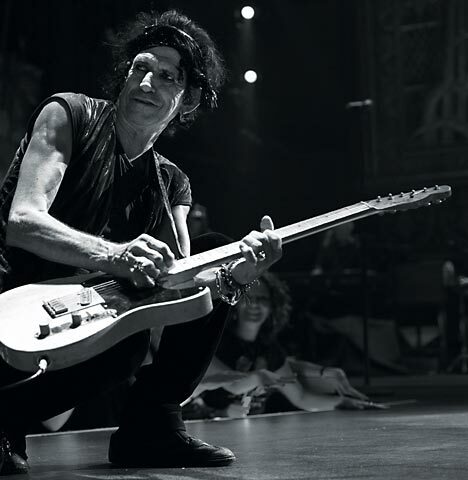 Keith Richards - maybe not that famous for his stage persona, but his presence and different style along with all the myths surrounding the man has made him the living legend he is today. 6. Brian May - his persona is not flamboyant, nor his outfits. 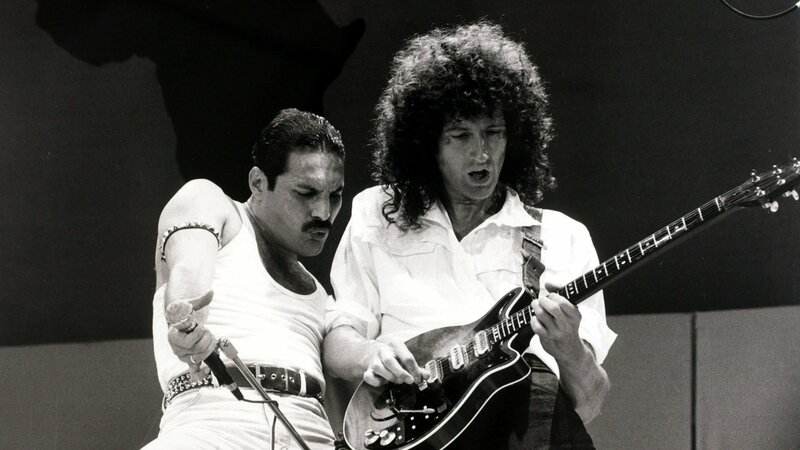 The big curly hair and that classic red guitar is a well known image in the music world. The best singer here. 7. 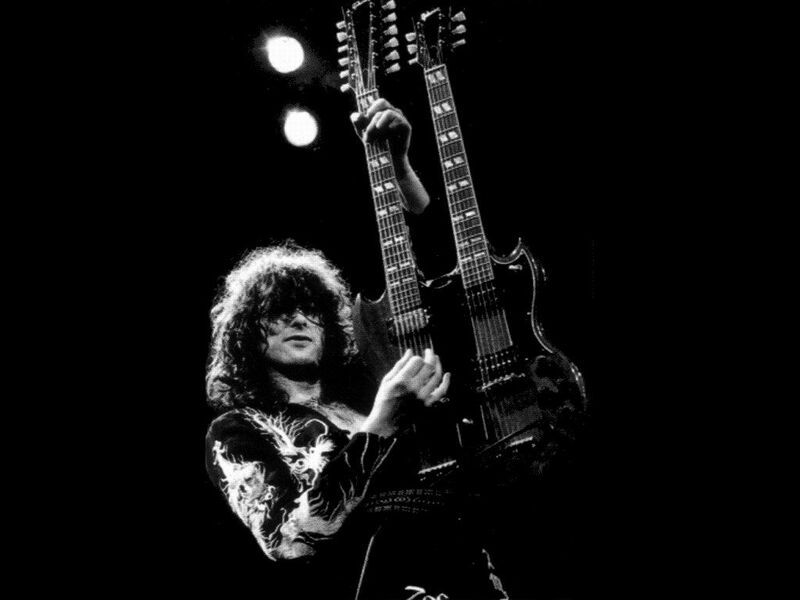 Jimmy Page - famous from the fathers of hard rock, Led Zeppelin, Page is a rock legend from top to bottom. Countless classic riffs, stage antics and great songs makes him one of the most legendary players here. 8. 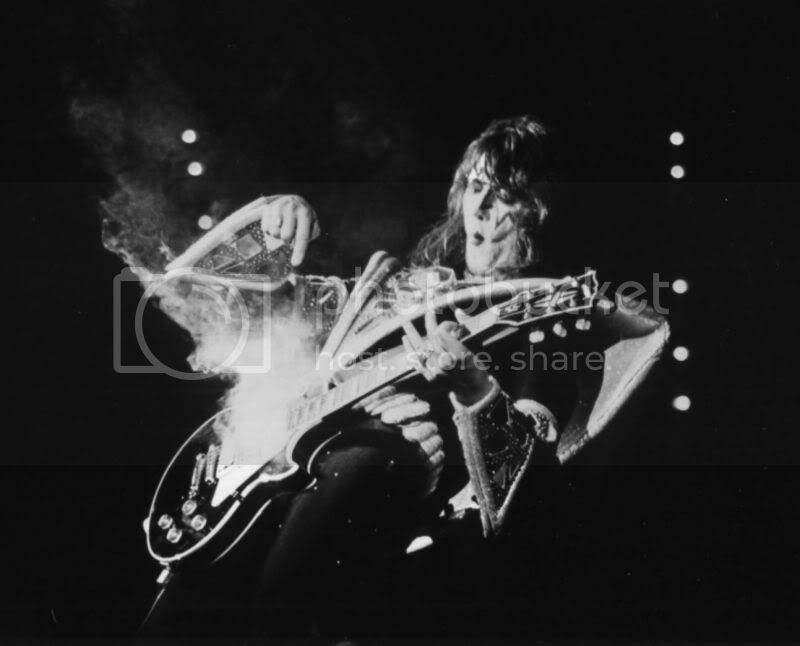 Ace Frehley - the guitarist from outer space with make-up and a costume out of this world Frehley and his smoking, rocket-shooting guitar antics forever made him a rock icon. 9. 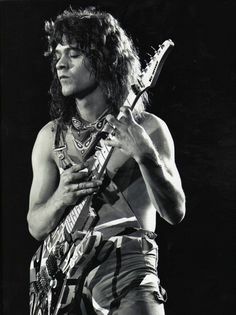 Eddie Van Halen - this man changed the way rockers saw the guitar as an instrument and what you could do with it. Eddie introduced many new techniques used to this day like tapping or over-using the whammy-bar! 10. 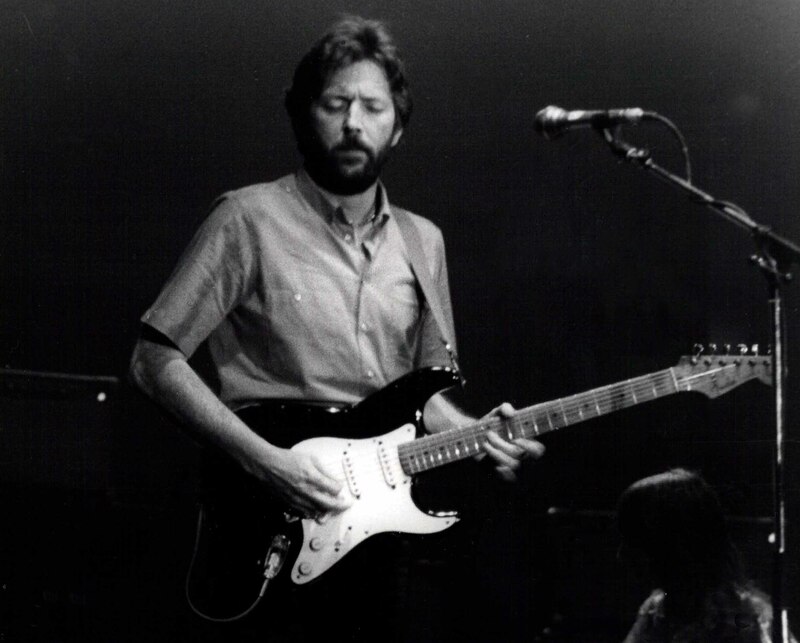 Eric Clapton - a guitar virtuoso that has never really focused on the imagery of the guitarist but focused on playing and honing his skills. Impeccable player, but a rather boring stage presence.